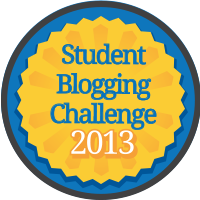 3 Blogs Challenges I really love. (1). Dayanara's Blog Challenge = a wonderful and very detailed paragraph for each. I love it because of how she wrote it for example how the paragraphs were very big. Who doesn't love a big, huge, and gigantic paragraph with more than enough details. (2). Isabelle's Blog Challenge = A wonderful and persuading paragraphs and details. I love it because she has a link to go to the website. I also love it because of the wonderful paragraph and details who doesn't love it? (3) Juliana's Blog Challenge = A wonderful way to use a sock with holes. I love this post because of the ways you can use a sock she gave wonderful thinks we can use it as. I also like it because of the wonderful ways she listed.